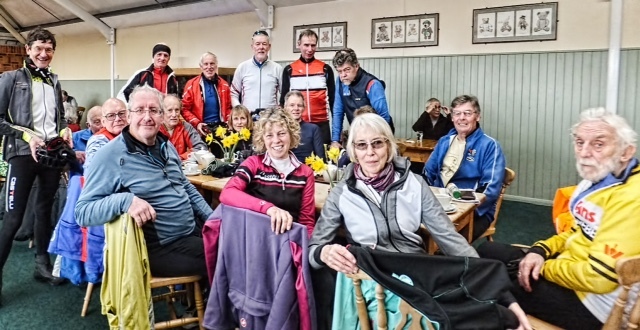 The major objective of the Autumn Tints Cycling Comrades (or Tints, as we like to be known) is to promote comradeship among past and present cycling enthusiasts over the age of fifty. The only remaining section is active on the Isle of Wight. Last Wednesday, 24th Feb 16 Autumn Tints visited the Bear Café near Apse Heath for tea. Later, a souvenir photo of the event appeared on Isle of Wight cycling group on FaceBook which was seen by several Tints.